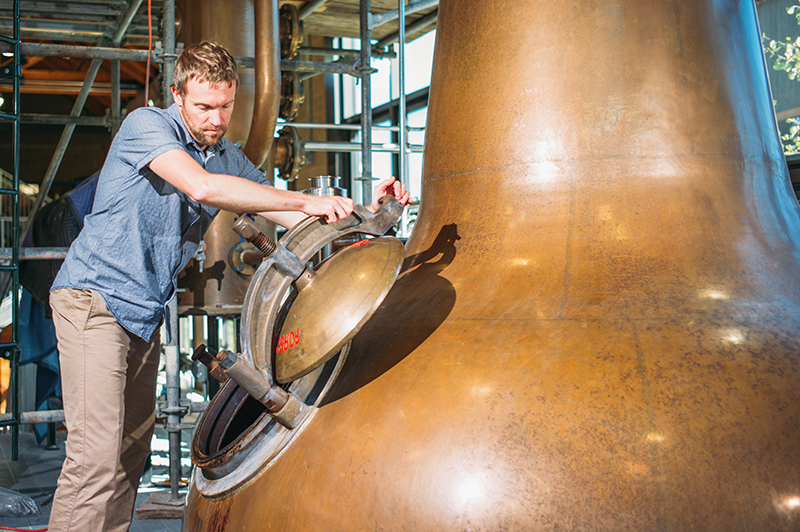 Visitors to High West’s temple of taste might immediately be hit with the sweet smell of mash, which permeates the entire building. Most of the operations take place in huge rooms filled with natural light by the many windows. Large, looming, polished tanks, washbacks and tubing fill the space along with metal staircases. The crown jewel is a copper still, which looks like an upturned cornucopia with the word “SCOTLAND” emblazoned on its door in block letters. There are wooden barrels neatly lined in another corner, which have been filled and are awaiting transport. Within another, smaller, sealed-off room are hundreds of bottles and glassware, along with a computer bearing tiny numbers. This is where taste tests and experiments occur, and it looks like a proper laboratory—because it is. It takes a lot of science to create a dependable product, and Coyle personally tastes each batch to make sure it tastes right. He knows what he is doing, too—he has a Masters Degree in Brewing and Distilling Sciences from an Edinburgh school called Heriot-Watt University. High West was acquired last month by New York–based, publicly traded drinks company Constellation Brands. 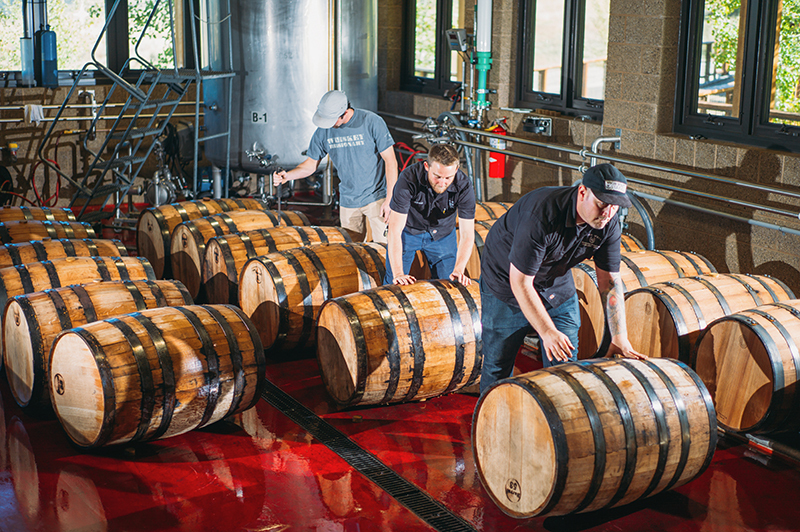 “When it came to the next step for High West, we wanted to work with the right partner that will help us grow further while maintaining our culture and core values,” says High West CEO John Esposito in a press release. 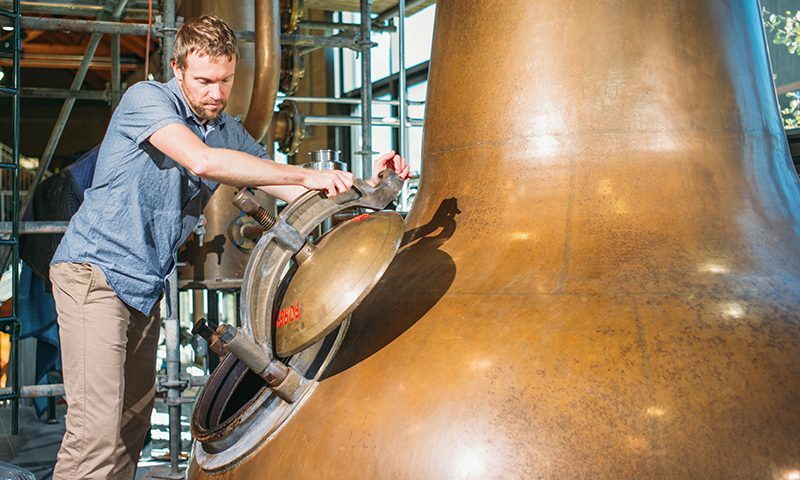 “With the strength of the Constellation Brands team, we will be able to reach more consumers and continue our track record of innovation.” The distillery still specializes in blended whiskeys. 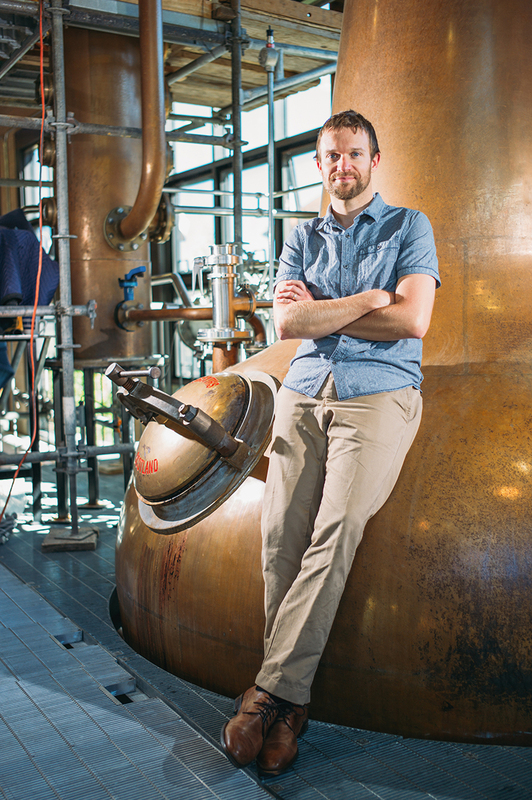 “Historically, blended whiskeys have gotten a bad rap,” says Coyle. 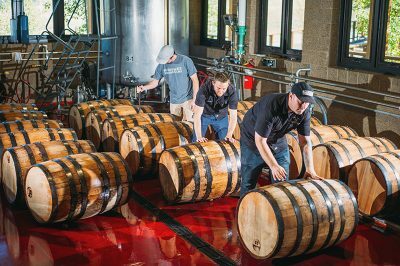 “In reality, blended whiskeys are quite common through history and through the entire distilled spirits industry … one distiller might make one flavor profile and whiskey very, very well, so he’d actually trade barrels of his own for other components out there to balance out the flavor profile of his product.” Coyle says that they seek to educate consumers and explain why blending gives a better, more consistent flavor profile.